As a cornerstone for independent label Reach Records, Tedashii brings something fresh to the hip-hop game. Known for his raw delivery and deep lyrical content, the Houston native has sold over 120,000 albums to date, garnered over 8 million cumulative views on YouTube, and was featured on Lecrae's Grammy award winning album Gravity. His last studio album, Blacklight, debuted at #2 on the iTunes hip-hop chart, #8 on the iTunes overall albums chart and, recently, one of its hit tracks, "Dum Dum", was featured on the popular TV show So You Think You Can Dance. Tedashii also hosts a radio show, Serium, powered by NGEN Radio. 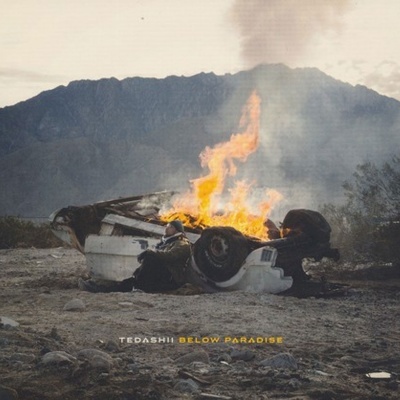 Below Paradise, Tedashii's highly anticipated fourth studio album, sheds new light on what life is really like on this side of eternity. After taking time off to grieve the loss of his son, Tedashii explores the meaning of triumph and hope amidst a life filled with patterns of pain and loss. He presses in with the listener to the reality of suffering, deep and true joy, the bite of life, and the false expectations we carry. Fans are eager to hear from Tedashii after this season of life and will not be disappointed by his abundant authenticity and uncut honesty. The album features Lecrae, Trip Lee, David Crowder, Andy Mineo, Royal Tailor and more. Sonically, the album brings dramatic beats, heavy bass vocals, and anthems you will not forget. Tedashii is coming back strong with Below Paradise, dropping May 27th.